NGC 6946 is a mag. 8.9 face-on spiral galaxy located in the constellation of Cygnus about 10 million light years away. 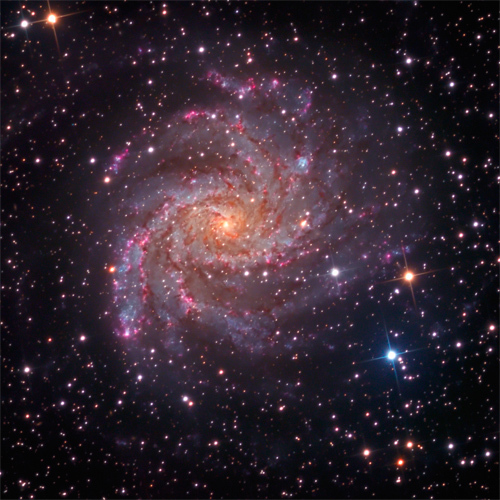 It is known as the "Fireworks Galaxy" (Arp 29) and is reddened due to its location near the galactic plane and the considerable amount of intervening dust. Nine supernova have been observed in NGC 6946. This galaxy is characterized by rapid star formation. It is now known as a "nuclear starburst galaxy" with new star formation due to an interaction between a hydrogen molecular cloud and the barred structure of the core. There is significant star formation in the spiral arms, which also host many bright pink HII emissions that glow in hydrogen-alpha light. 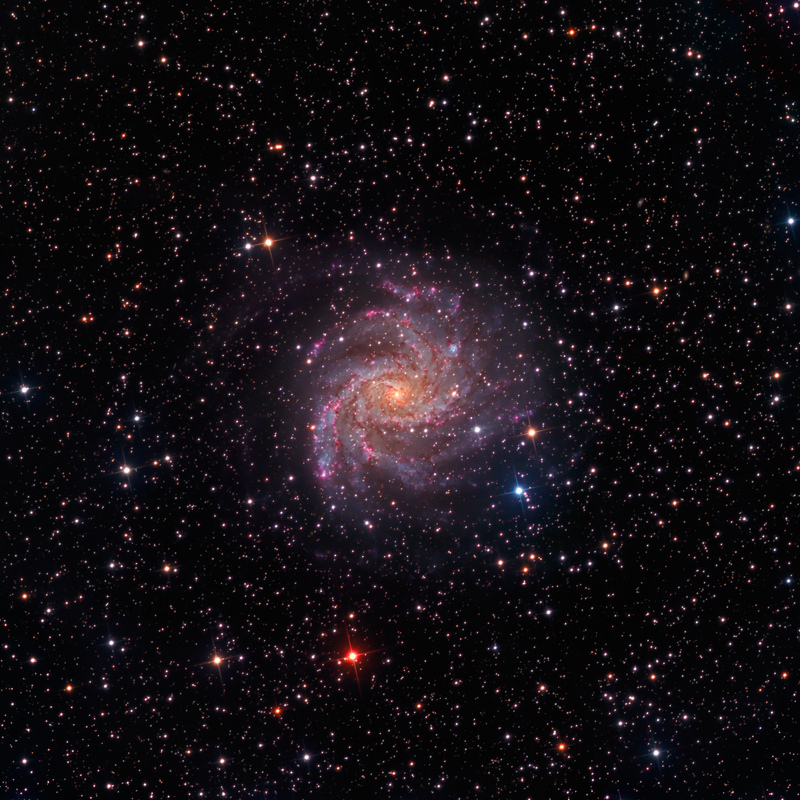 A primary objective of this image was to highlight the HII regions in the spiral arms. For comparison, we present an animated GIF image is presented that overlays this visible image made with RGB filters with the infrared image taken with the Spitzer Space Telescope. There is a good correspondence between these pink HII regions, as well as the darker dust lanes, and the Spitzer infrared data. We also present the comparison as a mouseover to provide more time to examine the detail. Place the mouse over the image to see the Spitzer IR data.